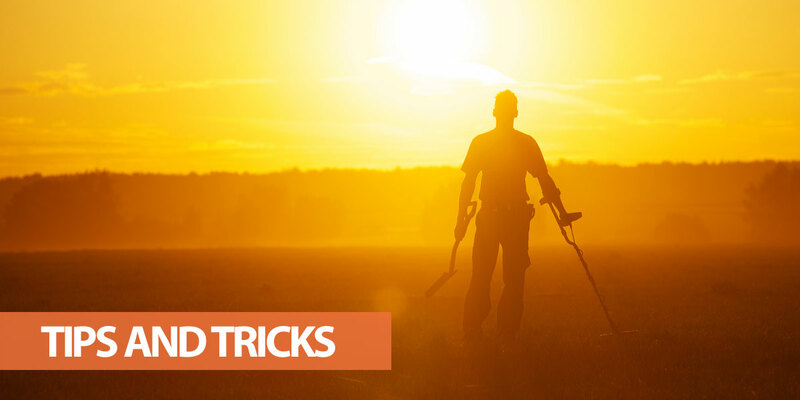 24 Metal Detecting Tips: Easy Tricks for More Effective Hunting! 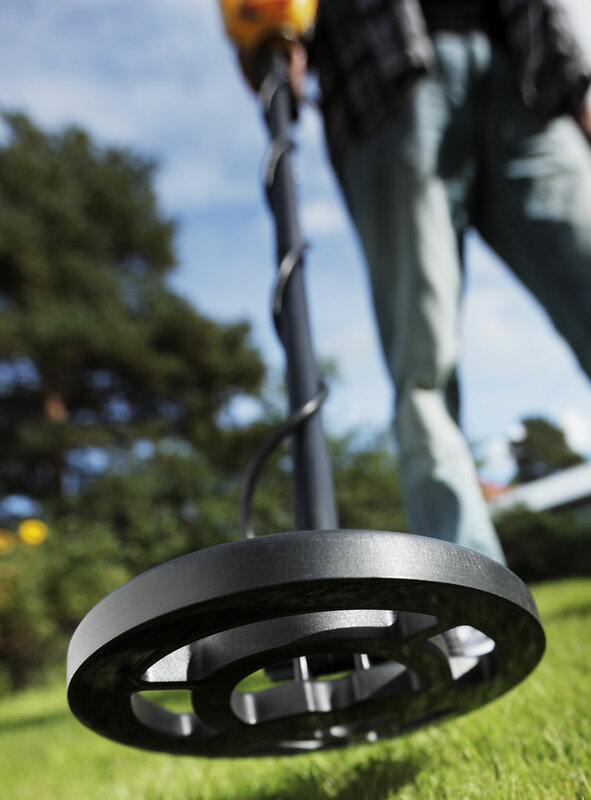 Metal detecting is a brilliant hobby – but it can also be daunting. It’s easy to get overwhelmed and frustrated, especially when it seems like the only thing hidden in the ground is trash! Of course, practice is the key to any hobby, and metal detecting is no exception. There are some simple things you can do to make hunting more enjoyable and productive though. Note: If you’re thinking of buying a new detector, make sure you check out my list of the best metal detectors to find one that meets your requirements and budget. The most important rule when metal detecting is that you must have permission before searching on an area of land. This sounds obvious, but it’s surprising how many detectorists still think owning a detector somehow exempts them from trespassing laws. It’s not always easy to get permission, but it’s just a part of the hobby you need to deal with. Getting caught trespassing can have serious consequences and may affect other detectorists too. When you get permission, make sure you fill any holes to ensure you're allowed back. The goal should be to leave the area looking as good, or even better, than before you arrived. A common beginner's mistake is to buy a detector that’s too difficult to use. If this is your first metal detector, look for an entry-level model that’s powerful enough for “real” detecting but won’t overwhelm you with features and settings. On the other hand, you should avoid the cheapest detectors, as these are little better than toys. For more information, check out our page on the best metal detectors. You don’t need to spend a fortune on accessories when you’re first starting, but there are some essential items every detectorist needs. These include gloves, digging tools, headphones, batteries, strong boots (without a steel toe) and coil covers. You should also take a basic first aid kit, mobile phone, water, snacks and insect repellent when you’re hunting. It’s vital to wear suitable clothing depending on the weather. I always bring an extra waterproof jacket and spare plastic detector cover, as you never know when you could get caught in an unexpected shower. 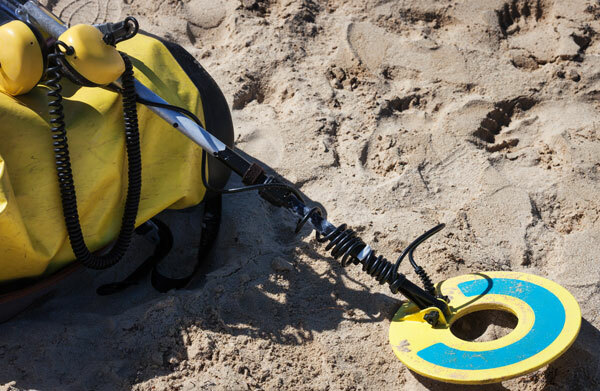 Your detector, headphones, coil cover, pouches, gloves and digging tools are all essential – so don’t forget them! It sounds obvious, but get into a habit of double-checking your gear before you head out for a hunt. Plenty of detectorists have experienced the frustration of getting to their target area, only to find they’ve left their digging tools or headphones behind. Every detector is different, so it’s vital to be comfortable with how yours works. Understanding your detector makes every hunt more enjoyable – plus you’re more likely to find something good. Start by thoroughly reading and re-reading the instruction manual. As you work through the manual, try out each of the settings so that you feel comfortable using them in the field. It’s also a good idea to create a testing location at home. This should contain different metal objects, so you can practice responding to the various signal tones. Most detectors from major brands (such as XP and Fisher) also come with an instructional DVD. Make sure you watch this and take notes, as you’ll pickup tips that you might have missed when reading the manual. I've also written a basic guide which you can read here. On a side note, always take the manual when you go hunting. I also recommend hunting in “All Metal” mode when you first start, so you can learn the sounds of different signals. Additionally, check the water capabilities of your detector. Most have waterproof coils, but for underwater detecting the control box also needs to be fully waterproof. There’s little point going back to a park or other public location a day after hunting there, unless you were getting plenty of targets and didn’t have time to finish searching. On the other hand, after a few weeks or months there may be many new items that have been lost by visitors. For this reason, it’s a good idea to have several hunting areas that you rotate. This allows new items to build up before you re-hunt the same ground. If you're struggling for ideas, here's a list of the best hunting grounds. There’s nothing more frustrating than being forced to cut a hunt short because something breaks. Ideally, your kit should include spare batteries, straps, headphones and coil bolts. Even if you don’t want to invest in backup gear immediately, these items should be first on your shopping list as you gain experience. Discrimination is a great way of saving time digging up unwanted items, but you need to be careful not to filter out real targets. The level of discrimination you should use depends on your environment. In the UK, for example, you shouldn’t set your discrimination high when searching for coins. This is because Celtic and Roman coins, which are made of silver and bronze, may show up as part of the tin or nickel discrimination ranges. A high discrimination setting will mean you probably won’t hear these signals. In other regions, such as in the US, you can often use higher discrimination settings. It’s always a good idea to dig whenever you’re unsure though – especially when you’re first getting started. Parks, popular woods and other public locations are amongst the best places for hunting, but it’s best to avoid them at the busiest times. Aside from people getting in the way, you’ll also spend a lot of time answering repetitive (although well-meaning) questions about what you’re doing. Instead, try to hunt public places at times when there are fewer people around. It’s a good idea to keep a log of each hunt. This doesn’t need to be complicated, but should include the location, date, time of day and what you found. You can use a spreadsheet, app or just pen and paper for this. Logs can be extremely useful when you’ve been on a few hunts, as they allow you to see patterns more easily. A log also makes it easier to properly rotate your hunting locations. There’s a temptation to set off in a hurry when you reach a new hunting location – especially if it’s a large field. Not properly overlapping your sweeping pattern is one of the most common beginner mistakes though, as it can cause you to miss many targets. The key is to be systematic in your hunting. Start by walking in a straight line until you reach the boundary of the area. Make sure your sweeps overlap while you are walking so you don’t miss anything. Turn around and take a small step to the side, then go back the way you came. By stepping 1-2 feet away from your previous path, your next will have a small overlap without doubling up on the same ground. Failing to overlap isn’t the only way you can miss targets though. If you’re going too fast, you may not hear smaller targets. Make sure your sweeps are controlled for best results. You should also ensure the coils are always kept parallel to the ground. If you lift the head at the end of a swing, you won’t be searching to the same depth. Remember, "low and slow" is the name of the game! The truth about metal detecting is that it’s not hard to find a target signal. Most areas will yield plenty of targets. The hard part is staying positive and motivated when you keep digging up trash. This is an unavoidable part of the hobby, but can still be frustrating – especially when you’re first getting started. There’s also a lot to learn about the types of target, environments and machine settings which can be overwhelming at first. For this reason, it’s important to remind yourself to be patient. Most targets won’t be anything valuable, and there will be a lot of trial and error before you feel more confident as a detectorist. Try to have the mindset that every bottle cap, penny or other trash item you dig up is one step closer to something good. The more time you spend in the field with your detector, the better and more confident you’ll become. There’s no such thing as wasted time when hunting, even if you don’t find anything good. It’s all worth it when you get your first few “real” finds. There’s nothing like the thrill of it! Items are often found in pairs or groups. If you find something good, make sure you recheck the area for a second item. If you find a second item, recheck again after digging it up. You never know how many items might be showing as a single signal! Don’t just leave trash in the ground when you find it. Instead, carry a second pouch for storing trash items until you can properly dispose of them. This isn’t just to reduce the amount of trash in your local environment. Another target may be covered by the trash item, so it won’t be “visible” to the detector until you remove it. Getting rid of trash also prevents you (or another detectorist) digging it up again on a future hunt. It takes time and practice to get a feel for which targets are likely to be trash. The best way to develop this skill is to dig everything when you’re first starting, as you’ll quickly learn how your detector signals different types of target. To develop this skill faster, make a mental note of how each target sounds. Was there a continuous signal? Was the depth indicator correct? Did the pinpointer function work as intended? As you practice, try to guess what an object is before you dig it up. Digging every item also means you’re less likely to miss a real target – even though you’ll spend more time digging trash. This includes faint signals, as these could be valuable items or money that's buried deeper. While a pinpointer isn’t essential when you start metal detecting, I highly recommend getting one. A pinpointer doesn’t need to cost a lot of money, but can save you hours of fruitless digging by providing a more accurate target location. The natural impulse when you dig up a coin or other relic is to clean it. Don’t do this straight away though, as cleaning could damage the coin or reduce its value. Instead, make sure you know exactly what you’ve found. There are plenty of websites that can help you identify an object, or you could take it to a local detecting club. It’s always a good idea to recheck locations after a find, but it’s even more important with old coins as they are often found together. A good way to do this is to create a small grid around the find. You can either do this in your head or use small stakes. Walk with small steps and slow sweeps around the grid, making sure there is plenty of overlap. If you find additional items within the grid, you might want to expand it further. Your local area will certainly have coins hidden in strips of grass, parks and other locations where people congregate. The problem when coin hunting isn’t finding a target area, but maximizing your chances of targets. For this reason, have a quick look around the area before you start hunting. Are there patches of grass that are worn down from heavy footfall? Where do people tend to congregate? The higher the level of activity, the more likely there is to be hidden coins. When you’re first getting started, your detector's standard coil is probably fine for coin hunting. As you gain more experience, you may want to use accessory coils depending on the environment though. Hunting grounds with lots of trash, for example, may provide too many false signals when using large coils. Instead, a smaller coil can help you pinpoint the location of smaller coins. If you’re hunting a large area, on the other hand, then a bigger coil can save you time. 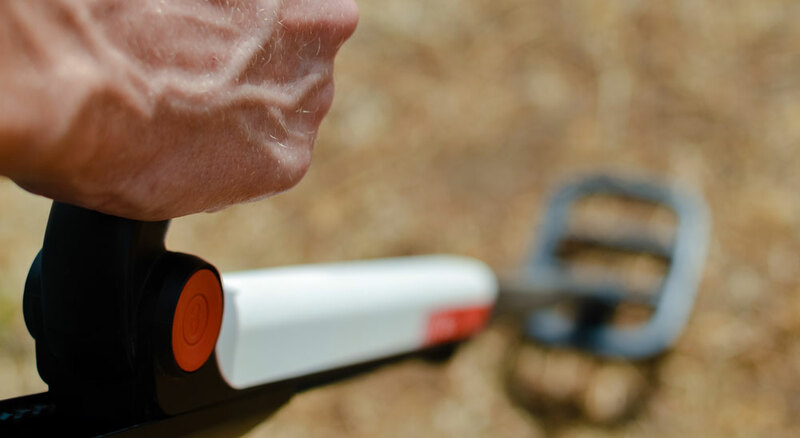 Gold prospecting requires many of the same tools and accessories as other types of metal detecting, but there are a few additional items you’ll need to bring. The first is a plastic cup. This can be used to separate gold nuggets from the soil. You’ll also want to bring a rake, as this can be useful for removing top layers of soil to get a deeper signal. If you’re hunting a desert area, look for crevices or exposed bedrock. Washes can also be a great place to find nuggets that have been deposited by flooding. As always, try to find where people have found gold in the past, as these are the best places to start. If you’re hunting in mountainous regions, the banks of streams and rivers can be excellent for finding nuggets. Unlike parks, which have a continuous supply of lost items, the best relic hunting locations often require prior research. There’s always a chance of getting lucky, but you’ll increase the chances of a valuable find by researching the history of the area. There are a number of tools for finding areas with historical activity. Google is a good place to start, as there may be websites that focus on local history. Historical maps, local historians, city halls, or old newspapers are also great sources for finding little-known hunting spots. Relic hunting is all about choosing the right locations. Aside from researching hunting grounds with historical activity, you should also look for hints while you’re searching. A common example is broken pottery. This indicates the area was once used by people, so the chances of finding hidden treasure is higher. 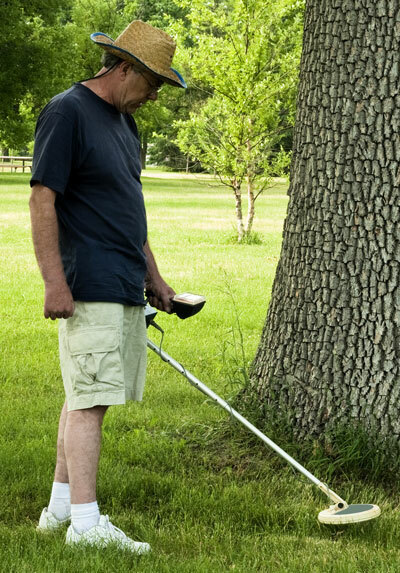 Metal detecting isn’t a complicated hobby and there are no "secrets" only the experts know – but it can seem that way when you’re getting started. There’s a lot to learn about your detector, the environment and targets, so practice is essential for improving your skills. While nothing substitutes being out in the field with your detector, the tips above can give you a head-start. I hope they make your hunting more enjoyable! Finally, if you haven’t bought your detector yet, choosing the right model is probably the most important decision you’ll make. Check out this page for my list of recommended models.